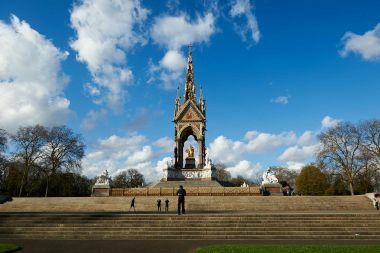 The Albert Memorial in Kensington Gardens is one of London's most ornate monuments. 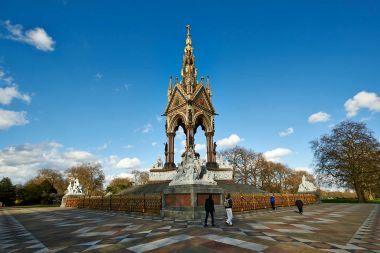 It commemorates the death of Prince Albert in 1861 of typhoid. 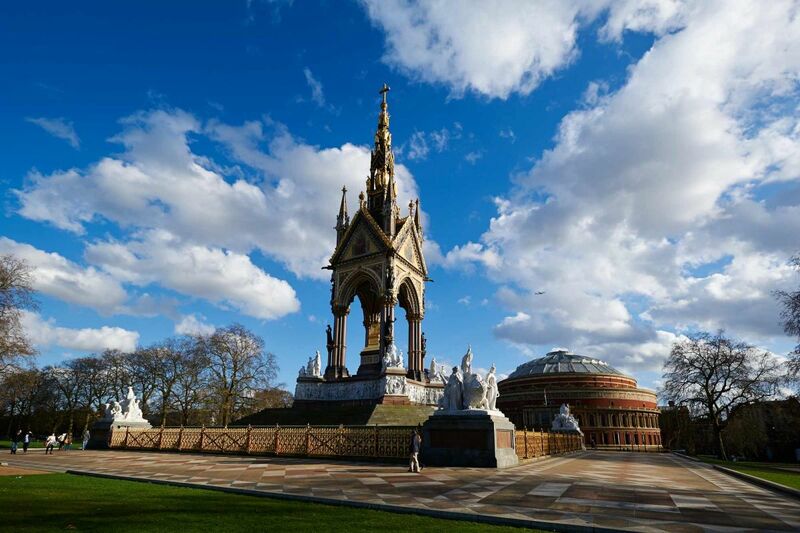 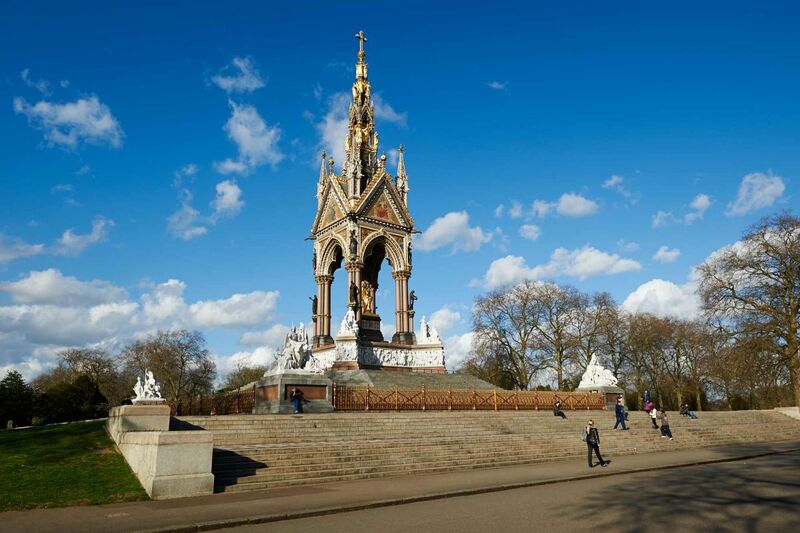 The Albert Memorial is located in Kensington Gardens on Albert Memorial Road opposite the Royal Albert Hall. It is one of London's most ornate monuments, designed by George Gilbert Scott. Unveiled in 1872, The Albert Memorial commemorates the death of Prince Albert, Queen Victoria's husband, who died of typhoid fever at the age of 42. Influenced by the series of 13th Century Eleanor Crosses (Charing Cross perhaps being the most famous) and other statues in Edinburgh and Manchester, the Albert Memorial in Kensington Gardens is one of the grandest high-Victorian gothic extravaganzas anywhere. Officially titled the Prince Consort National Memorial, it celebrates Victorian achievement and Prince Albert's passions and interests. 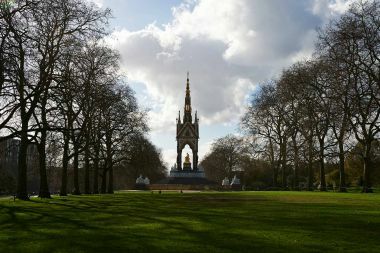 The memorial shows Prince Albert holding the catalogue of the Great Exhibition, held in Hyde Park in 1851, which he inspired and helped to organise. Marble figures representing Europe, Asia, Africa and America stand at each corner of the memorial, and higher up are further figures representing manufacture, commerce, agriculture and engineering. Yet further up, near the top, are gilded bronze statues of the angels and virtues. All around the base of the memorial the Parnassus frieze depicts celebrated painters, poets sculptors, musicians and architects, reflecting Albert's enthusiasm for the arts. There are 187 exquisitely carved figures in the frieze.